From her wheelchair, 10-year-old Chelsea Coenraad's alert, expressive eyes speak volumes to her mother. It is the only way she can speak. At 15 months, Rett syndrome robbed Chelsea of the only word she ever learned to say: "duck," for the favorite toy she soon became unable to play with. She cried, inconsolably, for a very, very, long time. When her parents tried to hold her, she bit them and wriggled away. She'd already become unable to sit up or stand by herself. Soon she no longer responded to her name. "Little things she did, like play patty-cake or wave bye-bye, she could not do anymore," Chelsea's mother, Monica Coenraads, tells WebMD. "She was only happy in her crib, with the lights off, playing obsessively with this little silk blanket." Now there's new hope for Chelsea and other people with Rett syndrome — including more than 20,000 Americans. That hope may also extend to some other people with autism, and to some cases of learning disability, retardation, and perhaps even schizophrenia. The mutant MECP2 gene that causes Rett syndrome does not cause permanent brain damage, new mouse studies show. When MECP2 gene function is restored, mice crippled by Rett-like symptoms start running around just like normal mice. The hope: Rett syndrome may be reversible in humans. The studies come from the lab of Adrian Bird, Ph.D., a professor at Scotland's University of Edinburgh and chairman of the scientific board of the Rett Syndrome Research Foundation. Bird in 1990 discovered the MECP2 gene. "This changes the mindset. It replaces pessimism by optimism," Bird tells WebMD. "It does not suggest an actual treatment. But now, with a spring in their step, people can move forward and look for a treatment." "The findings are extraordinary, and are of relevance not only to Rett syndrome but to a much broader class of disorders, including autism and schizophrenia," Baylor University researcher Huda Zoghbi, MD, said in a news release. It was Zoghbi who in 1999 found that MECP2 mutations cause Rett syndrome. Bird and colleagues report their findings in the Feb. 8 issue of the online journal Sciencexpress. Rett syndrome is part of the spectrum of autism disorders. Symptoms usually appear at age 6 to 18 months. 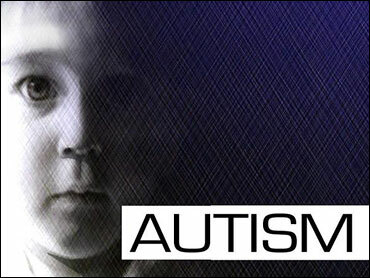 As in other autism spectrum disorders, children withdraw socially. Like Chelsea, they often cry for months on end. Unlike kids with other autism disorders, Rett-syndrome children often begin constant, compulsive hand wringing. They lose any language and motor skills they may have learned. Eventually, their hands become useless, as the ability to organize voluntary movements goes away. Chewing, swallowing, and even breathing can be a problem. Tremors are common; some kids have seizures. The gene responsible for Rett syndrome appears only on the X chromosome. Boys have only one X chromosome. If they inherit a mutant MECP2 gene, they usually die as infants. But girls have two X chromosomes. If they inherit the mutant gene from one parent, they almost always get a good copy of the gene from the other parent. X-gene expression is random in females, so girls with a single copy of the gene still have some MECP2 gene function. That rescues girls from death. "But the price of the rescue is Rett syndrome," Bird says. Today, Chelsea is confined to a wheelchair. She must be tube-fed. She cannot use her hands or make any purposeful movements, and she suffers daily seizures. But Coenraads says Chelsea also "is a social, affectionate, loving child who has incredible patience and wisdom beyond her years." Now Coenraads can hope that she'll one day see Chelsea recover from the illness that imprisons her. Coenraads' hope is professional as well as personal. She's co-founder and director of research at the Rett Syndrome Research Foundation, which partially funded Bird's research. "This raises the possibility that Rett syndrome and related postnatal disorders are reversible," Coenraads says. "It is extremely encouraging. This suggests there is no window of opportunity in which you have to act, so women who have suffered for years may get helped." Also encouraging is the possibility of reversing other diseases that involve MECP2 mutations. "We are only now getting a handle on how many conditions involve MECP2 mutations. Schizophrenia, movement disorders, mental retardation with seizures — Rett syndrome is just scraping the tip of the iceberg," Coenraads says. Bird's study used mice genetically engineered to carry a MECP2 gene switched off by a genetic element called a stop cassette. These mice act just like humans with Rett syndrome — their paws can't grasp and they can't walk. They also become obese, something not seen in human Rett patients. The MECP2 stop cassette in the mice carries a kind of ejection button triggered by a drug. When mice are given the drug, the stop cassette is ejected and their MECP2 genes start working again. If this is done slowly enough, the mice begin acting like normal mice. Humans, of course, aren't genetically engineered to carry ejectable stop cassettes. This means that switching on MECP2 function isn't a simple matter. Bird says there are three likely approaches to a Rett syndrome treatment. One is a gene therapy that would give people a functional MECP2 gene. That's going to be especially tricky, as too much of this gene is as bad as too little. But gene therapy research may one day be able to solve the problem. Another idea would be to take advantage of the fact that most females already carry a good MECP2 gene in every cell of their body. It's just that many of these genes are inactive. "If you could reactivate that gene, it would be potentially fantastic," Bird says. "But we have no idea of how to get these silent genes to start working again." And there may be a drug that could mimic the protein made by the MECP2 gene, or by the "downstream" genes that a normal MECP2 gene turns on and off. "So instead of trying to fix the gene, you develop a drug that counteracts the secondary effects of it," Bird says. Whatever the eventual treatment may be, Coenraads says it's going to take "a lot of research and an enormous amount of money" to find it. The new finding by Bird team's may well stimulate just such an effort. SOURCES: Guy, J. Sciencexpress, published online Feb. 8, 2007. Adrian Bird, Ph.D., professor of genetics, University of Edinburgh, U.K.; chairman, scientific board, Rett Syndrome Research Foundation. Monica Coenraads, co-founder and director of research, Rett Syndrome Research Foundation. News release, Rett Syndrome Research Foundation.